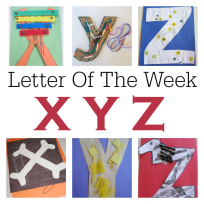 Our letter of the week series continues with the letter I. 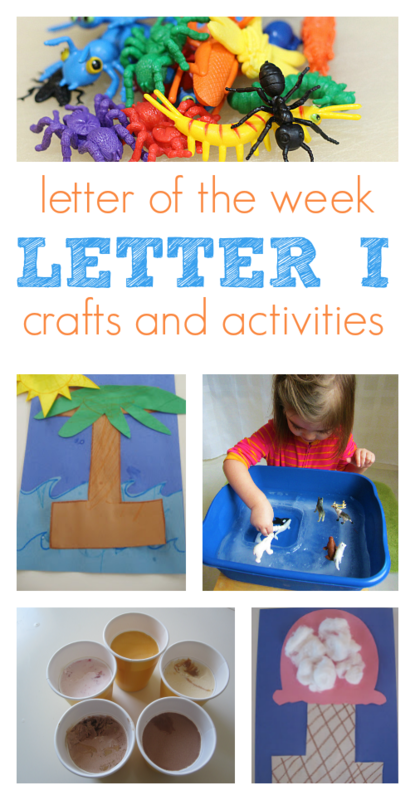 There aren’t a huge number of letter I activities, but that is a great reminder for parents and teachers to focus on the whole alphabet even while doing a letter of the week program. 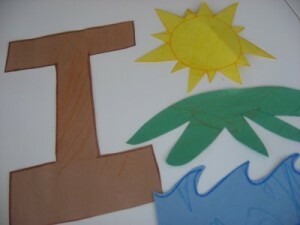 Letters work together, and so we should teach them together. Use the letter of the week as a way to focus some extra time on one letter not to focus all your time on it. 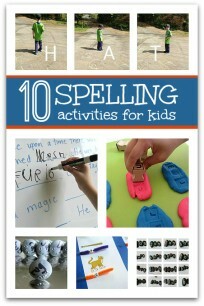 Alphabet books are a great way to bring all the letters together, and we have three great ones in the post too! 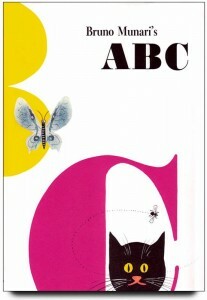 Bruno Munari”™s ABC by Bruno Munari will make you wish you had an extra copy to pull out the pages and frame them. It”™s 1960 retro gold. The book is simple enough, each page is devoted to a letter like most alphabet books, and on those pages are objects that start with the letter. There are cheeky bits of dry humor throughout as a fly shows up on pages after F and my son liked the S page with a sack of stars and snow for Santa. All in all a little different but not groundbreaking. However, the way it is graphically designed perfectly captures the retro cool that simply can”™t be recreated with a new book. My son liked it but wasn”™t nearly as into it as I was. 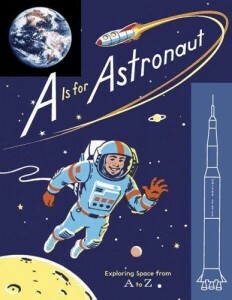 A Is for Astronaut: Exploring Space from A to Z by Traci N. Todd is a typical themed alphabet book that is atypically funky. The vintage illustrations and historical photos from NASA make this book stand out from other similar books. 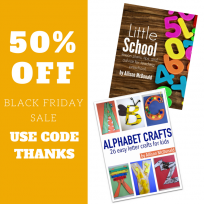 Each letter represents some space-related items, and the historical photos are so powerful in this because it bridges the gap from being a story to being information that children are eager to dive into further. There is something so powerful about a photograph to make that connection that this happened, these guys really walked on the moon in ” the olden days” as my son calls any time before his birth in 2006. 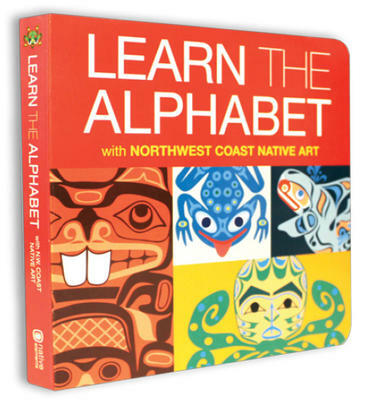 Learn The Alphabet: with Northwest Coast Native Art by Native Northwest was an amazing gas station find. Yes, I said gas station. I ran in for some diet coke and came out with an alphabet book! This book is amazing, bright beautiful and even though I bought it for my daughter since it”™s bright colors and sturdy pages are perfect for a baby, my almost 4-year-old son adores it. What I love is when he reads it to her. The Native art is gorgeous, and if you are unfamiliar with North West coast art, you are in for a treat. I guess I need to start to look for books in gas stations. It’s such a cute one I have even given it and a color one in the same series as baby shower gifts!